Guests had the chance to play out. When I grew up. 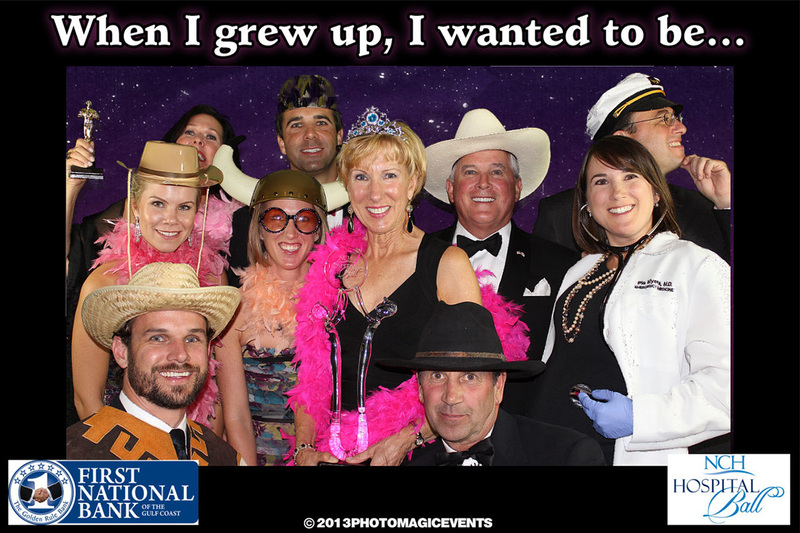 I wanted to be…” at the NCH Hospital Ball held at the Ritz Carlton Beach Resort on Saturday. With lots of props and four backgrounds to choose from, the guests had a blast with the #1 interactive event activity. Best yet, they received their pictures on the spot! First National Bank who sponsored the Green Screen Photo Service powered by Photo Magic Events had their logo on the picture which guests will keep for many years and in many cases, display at home or in their office. Unique, branded event photos are fast becoming the #1 most effective way to associate your brand with current and prospective customers and/or supporters. For non-profit organizations, it’s an effective way to bring new sponsors into your organization. If you want to take your event to the next level with an interactive event photo experience, visit photomagicevents.com to see what photo service will work best for your next event.